Ok, the title for this post has a British expression so some of you may not understand my double meaning. (I lived in England for 12 years.) Having success "in spades" means having it in abundance. And that's exactly what author Kristy Evans has had with her e-book, Spades, which hit the number 6 spot in the Children's and YA section of Amazon two weeks ago. Tell us what your book is about, Kristy. 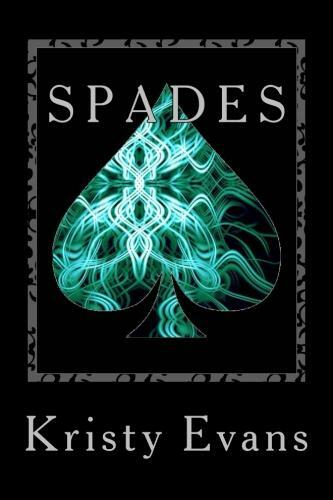 Spades is about a grieving girl who runs away with her hero and gets lured into his dark world. She learns that her chosen path is not by accident, and at the same time, unravels the mystery of who she is and what she’s capable of. How did you get published: Traditionally or independently? And when? I’ve been a self-publisher for two years. Before then, I tried going the traditional route for a couple of years, but I was tired of reading the same automated rejection letters. I just wanted to share my story with people who were just as enthusiastic about the material as me. So I posted the first book of Spades and made it available for the public through Kindle. Yes, my book is available in paperback as well. The e-book version came first because e-books are a lot easier to sell right now, and faster to distribute than paperback. Amazon and Kindle are well known for selling tons of e-books, and I personally think the e-pub route is more convenient for the buyer and the seller. Still, nothing beats holding your own book in your hand and signing your own autograph, which is why I’ve decided to go with both. I was almost too excited about e-publishing. I’d just heard about the Amanda Hocking story and her success. I was weary from sending queries to traditional publishers/agents who weren’t interested in my idea. I just wanted real readers to read my book and be excited about it. So E-publishing was an answered prayer. But nothing worthy comes overnight. I knew it was going to be a lot of hard work, and I was ready to put all of my eggs in one basket. I’m really glad I did. I have amazing readers, now, and I can afford to keep writing books without being financially stressed out. For the record, the greatest part about being a self-publisher is being hands-on with the readers. They’ve easily made this the best time of my life. Learn more about Kristy Evans and her books at her blog, on Facebook and on Twitter. And have a look at this week's Kids' EBook Bestseller List for more super authors who've hit the top ten in e-format. Andrea Buchanan, known as Andi, is a New York Times bestselling author, writing for both children and adults, fiction and non fiction. I know her as the co-author of the popular Daring Book for Girls series. 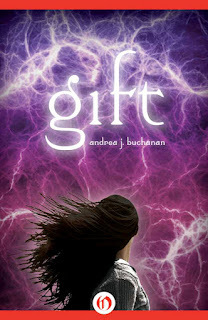 Her new young adult novel, Gift, hit Barnes and Noble's top ten in Teen Books at the end of May. Let's hear all about it! Andi, first tell us about Gift. High school student Daisy Jones has a secret, unpredictable power—one only her best friend, Danielle, knows about. But when Daisy tries to help a mysterious classmate in crisis, she soon discovers that her new friend has a secret of her own. Can Daisy and her friends work together to untangle a ghostly mystery before it's too late? My first book was published in spring of 2003. I've worked with traditional publishers all along the way, whether writing about motherhood and feminism, girl culture, or fiction like GIFT. GIFT is available in print this summer, but it was published first this March as an ebook -- primarily because I wanted to take advantage of the possibilities presented by the digital format. In the iBooks edition of GIFT, the story comes alive with music, art, and text events that are integrated into the reading experience. In the print edition, and in some of the more basic ebook formats, these elements exist in the form of static images, or links to music videos. But in the iBooks edition, music (composed "by" one of the characters in the book) plays when a reader reaches one of the four main sections of the book, a music video is embedded in a chapter in which a character sings a song he wrote for the main character; spooky images appear at certain points in the narrative that, in the end, the reader learns are drawings from another character's graphic novel, which retells the story from her own perspective at the end of the main text; and words disappear from the page as the reader confronts messages seemingly written by a ghost. I read ebooks almost exclusively these days, and it's rare that I even consider buying print. Which is something I was surprised to realize, seeing as how I grew up in a house with thousands of books, and I have just as many books in my own house right now. What I've realized is that to me, reading is reading, whether I'm using a codex or a screen. And so publishing GIFT as an ebook primarily, with a print edition to follow, just made sense. It's a format -- and an interesting one, at that -- and I'm always curious about the possibilities of new technology. So it felt like a natural choice for me. One thing I hadn't fully realized until I watched my publisher's team tackle it was just how fragmented, still, the ebook platform is. Different devices have different formatting standards, and what works beautifully on one device won't work at all on another, or what seems elegant in one format appears clunky in a different one. So that's a challenge, especially if you're trying to do something that pushes the boundaries of what's possible, formatting-wise. The other surprising thing for me was discovering that lots of boys are reading the book. One of the things I did to help launch the book when it first came out was to commission a playable adventure map of the book in Minecraft, which is an incredibly popular, incredibly wonderful videogame. The map is free, and anyone who has Minecraft installed on their computer can download the file and then play the game in the world of the book. Everything from the book is in there -- the geographical details, the locations and settings; even the ghostly dream world and the underworld from the more paranormal parts of the book. There are even "skins" the player can download of the four main characters, in case they want to play as one of the characters from the book. There's an adventure component to the map that is separate from the book, and you don't have to have read the book in order to enjoy the map -- but if you have read it, you might have a better sense of where to look for things in the map, based on plot points from the story. Anyway, due to the map, and the large number of teenaged boy Minecraft players, GIFT has found an audience with boys. Which is just great, I think. Learn more about Andrea and her books at her website, or by following her on Twitter, Google+ or Goodreads. And Gift has its own Facebook page. Visit again on Saturday for an interview with author Kristy Evans, and to check the updated Kids' EBook Bestseller List! I contacted author Kelly Bennett when I saw her e-book, Not Norman: A Goldfish Story hit the #5 spot in the Kids' section of Barnes and Noble's online store. Her response was enthusiastic. "Thank you for sharing this fabulous news! My first toe-dip into the world of digital books and I’m thrilled!" In fact, she was so excited she invited us all on her blog tour. 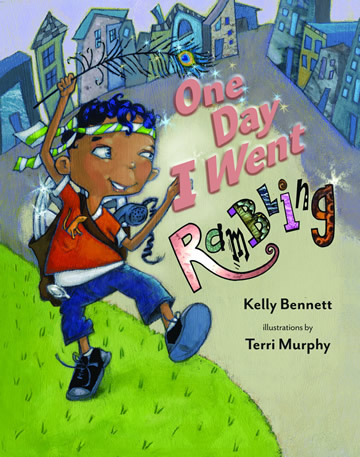 Kelly and illustrator Terri Murphy are celebrating the launch of their new picture book ONE DAY I WENT RAMBLING (Bright Sky Press)—which they hope goes E-something soon—with the Let’s Go Rambling Blog Tour through June 22nd! Join the LGRBT and see what everyone’s rambling about, share your own stories and enter to win cool LGRBT giveaways on the blog tour Facebook page. I hope to see One Day I Went Rambling on the Kids' Ebook Bestseller List soon! In the meantime, let's hear about Not Norman. Kelly, tell us what your story is about. A boy, who wants a pet more than anything, is heartbroken when he receives a goldfish, Norman, for his birthday. The boy takes Norman to school, in hopes of trading him for a good pet. But gradually, through the day and into the night, the boy comes to appreciate Norman. My journey as a professional writer began in 1985 with a Harlequin Romance. I wasn’t writing it, I was reading it. The story was about a sweet young thing who’d returned home to settle her father’s estate, needed money and so began writing for the newspapers. And then, as good romances go, got published and got the guy. I already had the guy and 2 children, but like the heroine in that story, I’d returned home to care for my grandmother, too. And I had been a writer in high school, too. So I thought, Hey! Fictitious or not, if she can do it, I can too! And so I enrolled in a community college course in Submitting and Marketing Writing for Children. I received my first book contract about a year later and have been writing and publishing ever since. All of my writing, for magazines, newspapers and books, has been traditionally published. 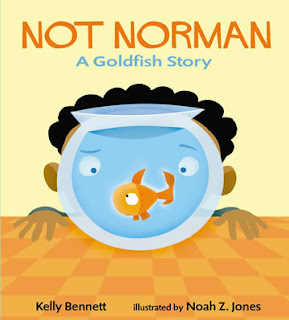 Not Norman, A Goldfish Story, was published in 2005 by Candlewick Press as a hardcover picture book; 2008 in paperback; 2009 as an audio book, and most recently as an e-book. I had absolutely nothing to do with any of this; all editions are the publisher’s decision. In a recent Horn Book Magazine article “The E-Future” (Mar/April 2012), Stephen Roxburgh, president and publisher of namelos, notes “The kids learning to read on screens will be the first generation to slough emotional attachment to printed books.” I don’t know if I agree with Roxburgh that kids could completely “slough emotional attachments” as the act of reading a picture book—a child’s primal reading experience— requires a child and adult in close contact, often lap-in-lap close, interacting with and through a story —is so emotionally charged. But I do agree that children are more comfortable with e-everything. That being reality, I expect e‑publishing will become more and more the norm. And, as soon as the financial side of e‑publishing is worked out, e-books will, whenever possible, replace print publishing. But not entirely. For the foreseeable future, Not Norman, A Goldfish Story’s edition history will be the exemplar. Successful paper books will be published in e-format and stories that begin as e-books will be published as traditional bound books. We’re already seeing this. And, good news for authors: as popularity increases and e-readers become more common and less expensive, opportunities to write e-material will abound. Children birth to 8 and their adults are my readers. I can’t imagine e-books hugely impacting traditional picture book printing the way it will—already is—novels, etc. Maybe because I can’t imagine reading an e-book to a group of wiggly 3-year olds at Storytime, or snuggling up with a tot and my e-reader at bedtime. Anyone who has ever seen a child haul in an armful of books for “read to me” time will surely agree. And turning the pages—yes, and sometimes ripping them—is part of that “read to me” experience. Cuddling a lap-baby while you both squint to see the pictures and read text on a device together doesn’t cut it. There’s a reason picture books are so large… No e-anything can replace the important 3-party tactile experience of a child & adult holding and reading a book together. However, as pure entertainment yes! Bring it on! More and more we’re seeing children being entertained, baby-sat, taught with e-stuff. That’s a fabulous use of e-books—picture books included. Children want to enjoy the same books over and over and over…in e-book format, they can do this— anytime and anywhere! Too, educationally speaking, e-readers level the playing field. There’s been lots of buzz about over-achieving parents (and educators) rushing children onto chapter books. Additionally, there’s competition among children over who reads better. As with many things “bigger” is perceived as better, so children are moving—being pushed, coerced—into trying to read books beyond their comprehension level. Add to this, complications that come with physical disabilities and learning differences. One of the beautiful realities of an e-reader is they all look the same on the outside so font, book size, subject matter, isn’t an issue. 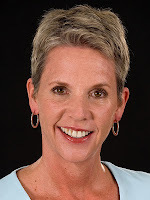 Learn more about Kelly Bennett and her books at her website. And for a swimmingly good time, (and more on the Rambling blog tour) wade through her blog: Kelly’s Fishbowl. You can also follow her on Goodreads and Facebook. Stop by every week for the updated Kids' EBook Bestseller List! Who's the Next Blockbuster Author in E-Format? Ever since I started this blog in November, 2010, The Hunger Games books have been dominating the top spots in the most popular stores on the Kids' Ebook Bestseller List. Occasionally, another author has broken through to the number 1 position. In the last 6 months of my lists, James Patterson's Witch and Wizard and Erica O'Rourke's Torn have leapt over the Hunger Games barrier to number 1, and then only briefly. Last week, Life of Pi by Yann Martel took the number 1 spot in the Barnes and Noble Teens section, but this week Mockingjay has taken its place. But eventually the four-book wall of The Hunger Games/Catching Fire/Mockingjay/ The Hunger Games Trilogy is bound to crumble. Who will be the next big number one author? I don't pretend to predict the future, but I can tell you what I've noticed from week to week. 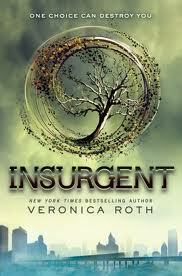 Veronica Roth has two books, Divergent and Insurgent, that are both strong top tens in most of the stores: Amazon, B & N, Google, iBooks and Sony. According to Veronica's website, her second book Insurgent wasn't released until May 1st, yet it was already in the top ten of Children's and Young Adult e-books on Amazon on as early as April 20th (probably due to pre-orders). 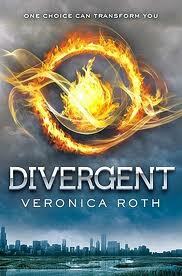 And a third book is expected to complete the trilogy, although I don't see a title or expected release date. Cassandra Clare is another author to watch. Last spring, City of Fallen Angels was a frequent visitor to the Kids' Ebook Bestseller List, and now City of Lost Souls is in the top ten at Amazon, B & N, iBooks and Sony. 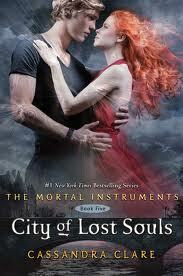 This is the fifth book in what will be a series of six, called The Mortal Instruments series. And check out her publicity at the recent Book Expo America -- her main character is a "shadowhunter", so that and her name are on the BEA stairs. See her website for more info on these popular books. Keep coming back to KidsEbookBestsellers.com and we'll see what the future holds! Great news for authors who are publishing in electronic format: A recent Pew study shows that U.S. consumers with an e-reader or tablet are more likely to read and buy books than those who do not have an e-book compatible device. Read all about it HERE and enjoy this graphic from Infographic Labs that shows many more results of the study. Free: One of My Favorite Words! Here's an opportunity to try out some bestselling authors. Perhaps you'll find a new favorite. Middle School: The Worst Years of My Life, Free Preview - First 20 Chapters, by James Patterson. Middle School: Get Me Out of Here!, Free Preview - First 19 Chapters, by James Patterson. Turned (Book #1 in the Vampire Journals) by Morgan Rice. Awakening (The Watchers Trilogy) by Karice Bolton. Sworn (Book #1 of the Vampire Legends) by Emma Knight. Angel Burn (Free Preview of Chapters 1 - 3) by L.A. Weatherly. Fated: Selected Scenes: A Soul Seekers E Sampler by Alyson Noel. Grey Eyes (Book One, The Forever Trilogy) by Brandon Alston. Summer's Crossing (Iron Fey Series) by Julie Kagawa. The Gift - Free Preview - The First 21 Chapters (Witch and Wizard Series #2) by James Patterson. The Scorpio Races (Sneak Peek) by Maggie Stiefvater. Enjoy! And remember to check today's Kids' Ebook Bestseller List for the latest top tens in the top stores.